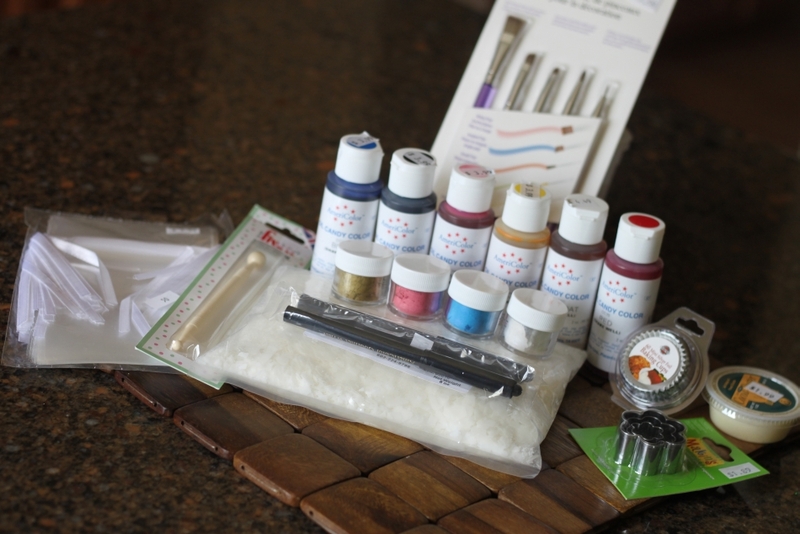 Decorating Supplies from ABC Cake Decorating valued over $150! …All you have to do is “like” our pages below and submit your email (so we can contact you if you win)! Entry is conditioned upon “Liking” all three of our Facebook Pages! Then Enter by submitting your name and email address… It’s how you will be contacted if you WIN! The Last Entry will be taken on Friday July 4th 2014 at 9PM (MST – Mountain Standard Time-AZ) the winner will be selected at random and Emailed for Shipping information within 5 business days following the promotional end date! Here are all the goodies that will be in the Prize Box!! The one of a kind Easy Roller:)!! With the Easy Roller you can roll 21 rounds at a time! All the Same Size! Faster and Easier! 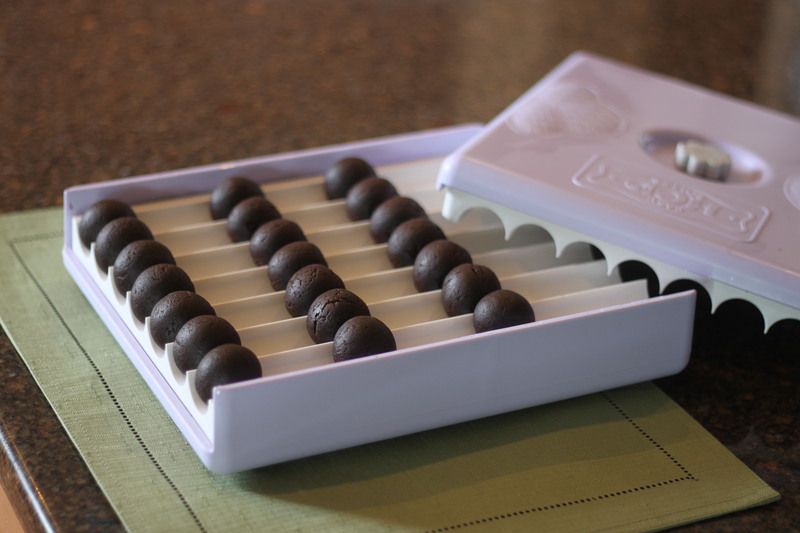 If you don’t want balls, and you can also use it to portion/cut 49 pieces at once! 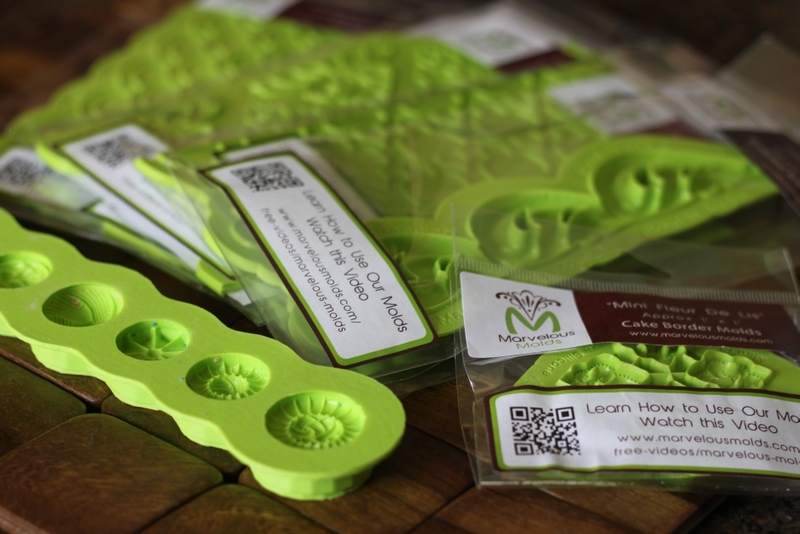 Use it for your cake pops, meatballs, cookies… the possibilities are endless:)! 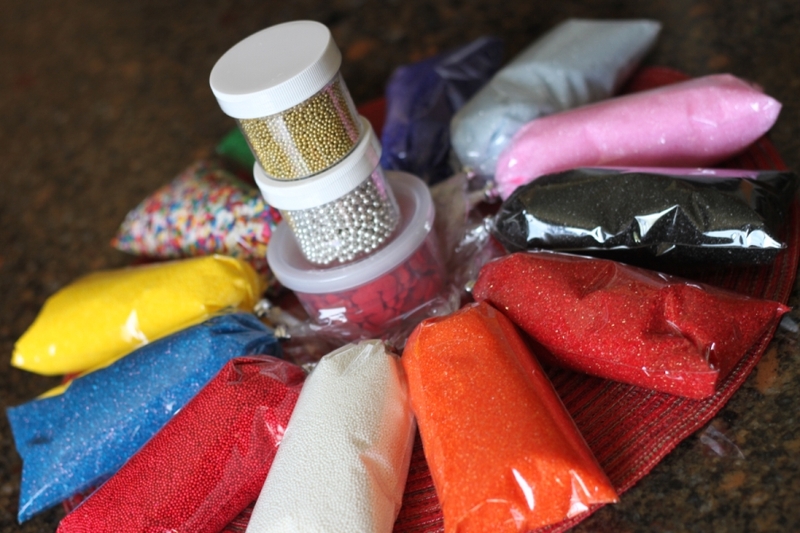 Here is a rainbow of sprinkles we have picked out for you from ABC Cake Decorating! Both sanding sugars and mini nonpareils, some hearts and even some metallic ones (these silver and gold ones are suggested for decoration only) This should get you through just about every holiday or occasion;)! 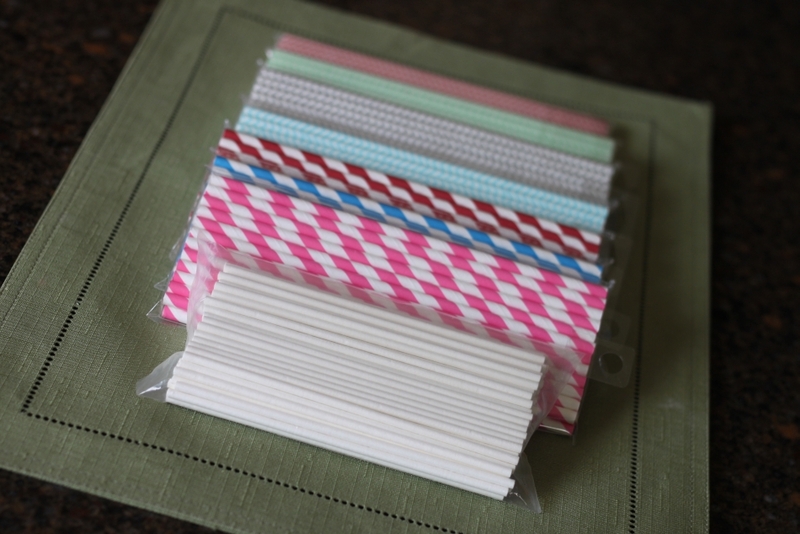 We have 6 inch sticks, and some paper straws! I just love these! I don’t know which I love more, the Chevron or Swirls!! ABC Cake Decorating has such an assortment online, I picked my favorites:)!! Here is “a can’t live without mix” for decorating to have on hand! Of course all from ABC or CakeArts.com! This will be helpful in whatever you are making!! Some fun ribbon bags; paramount crystals, to help thin chocolate; Flow Coat (this is cool stuff! You can put your other non candy colors into this, swirl it around and then use it to tint your candy without harm!) 2 black Americolor markers; Pink, Blue, Pear, and gold shimmer dust; Blue, Black, Pink, Yellow, and Red, you can make any color from these few:)!! Candy Cups, just in case you want cake truffles (Cake pops without a stick); Make and Mold mini graduated flower cutters and ball tool (Make those pretty flowers for the tops of your cake pops!! ); a sample size of cocoa butter; and an assortment of paint brushes. ABC Cake Decorating is one of the biggest cake stores I have ever seen and lucky for me it is local here in Phx, AZ however a large portion of their business is shipping product all over, so go check it out! This promotion is in no way sponsored, endorsed or administered by, or associated with, Facebook. You are providing your information to HCP and not to Facebook. By participating in this promotion you agree to a complete release of Facebook from any claims. Participation in this promotion is subject to the official rules: Void Where prohibited. Both USA and international entries allowed. Only one (1) entry per person. Must be at least 18 years of age to enter. Promotion open to new and existing Facebook Fans. To enter, name/email address must be submitted, conditions apply. Winning is conditioned on liking all contributors’ pages. Winners will be chosen through Random.org, the number used will be in the order your entry was submitted. All first entries will be retained while any duplicate entries will be deleted. Upon winning this promotion, by submitting your name and email you allow us permission to potentially post your first name last initial on our social media avenues as a winner. Winner will also be notified via email to submit a shipping address to collect the prize package. Last entry taken will be taken at 07/4/14 at 9PM (MST – Mountain Standard Time-AZ) Winner will be emailed by 07/11/2014. Prize Package includes:(1) Easy Roller, Decorating Supplies from ABC Cake Decorating valued over $150 (1) $100 Gift Certificate to Marvelous Molds to pick out your favorite mold designs!